Official photos and details have been released for the upcoming S.H. 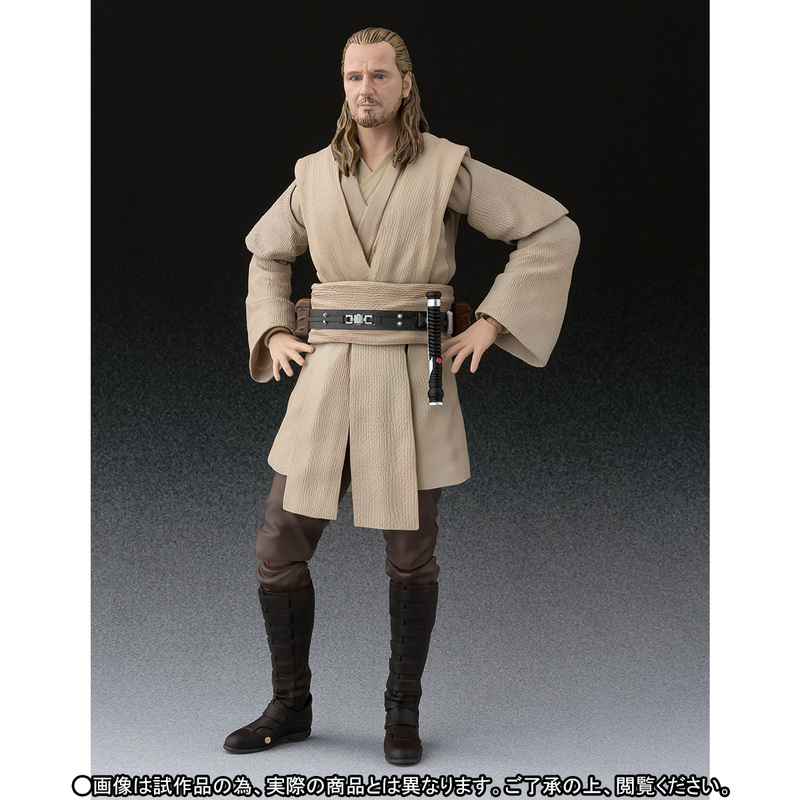 Figuarts Qui-Gon Jinn figure from Star Wars: Episode I – The Phantom Menace. Finally, S.H. 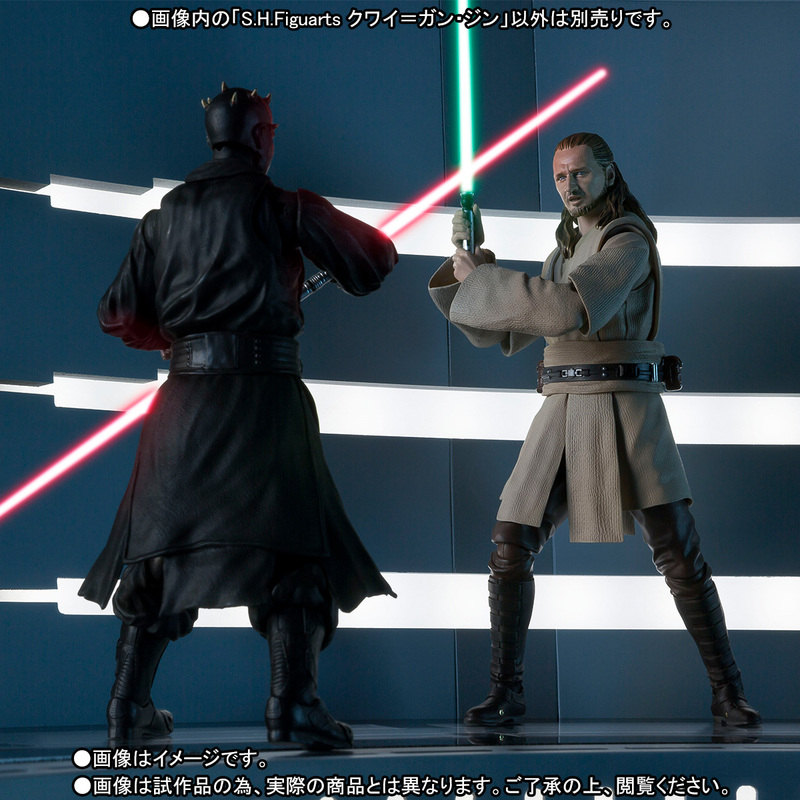 Figuarts fans will be able to recreate the epic fan favorite battle that pit Sith Lord Darth Maul against Jedi Knight Qui-Gon Jinn and his Padawan Obi-Wan Kenobi. 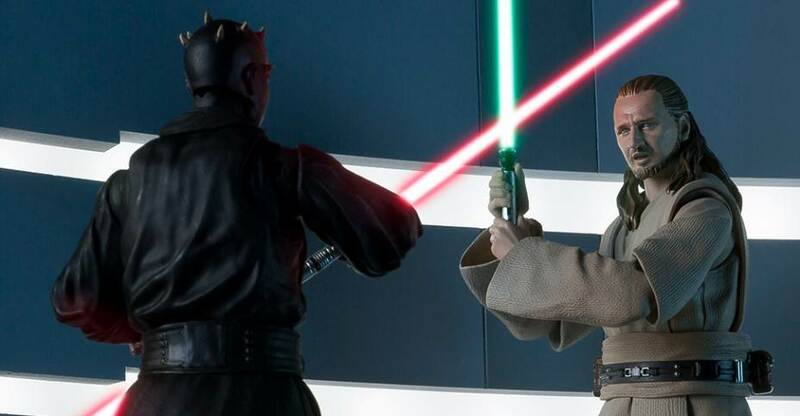 Both Darth Maul and Episode 1 Obi-Wan have previously been released. The figure is listed as a Premium Bandai Web Exclusive. 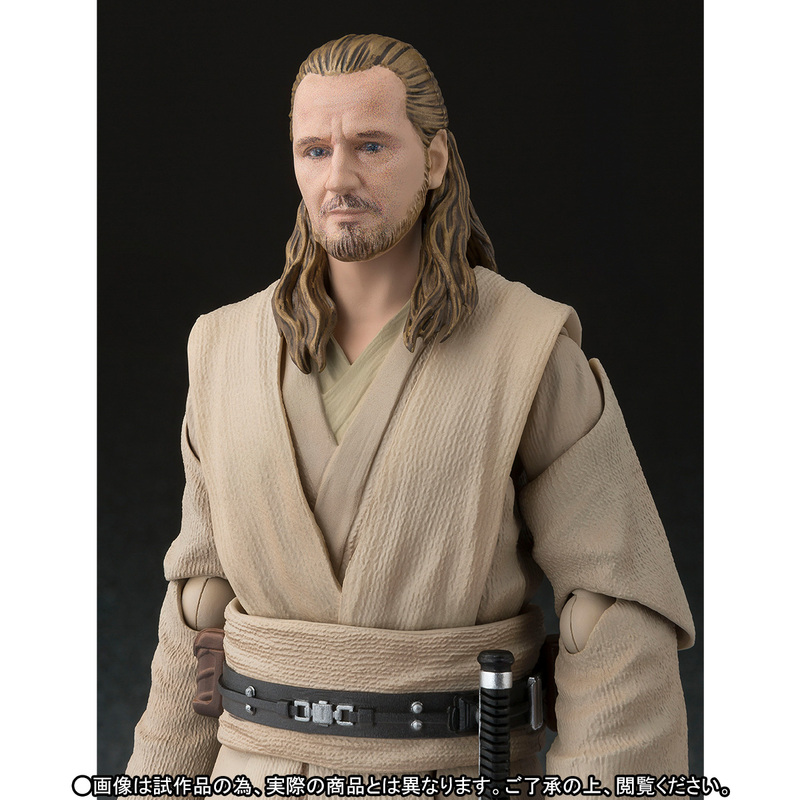 The Qui-Gon Jinn figure will include multiple interchangeable face parts, multiple sets of swappable hands, as well as his Lightsaber. 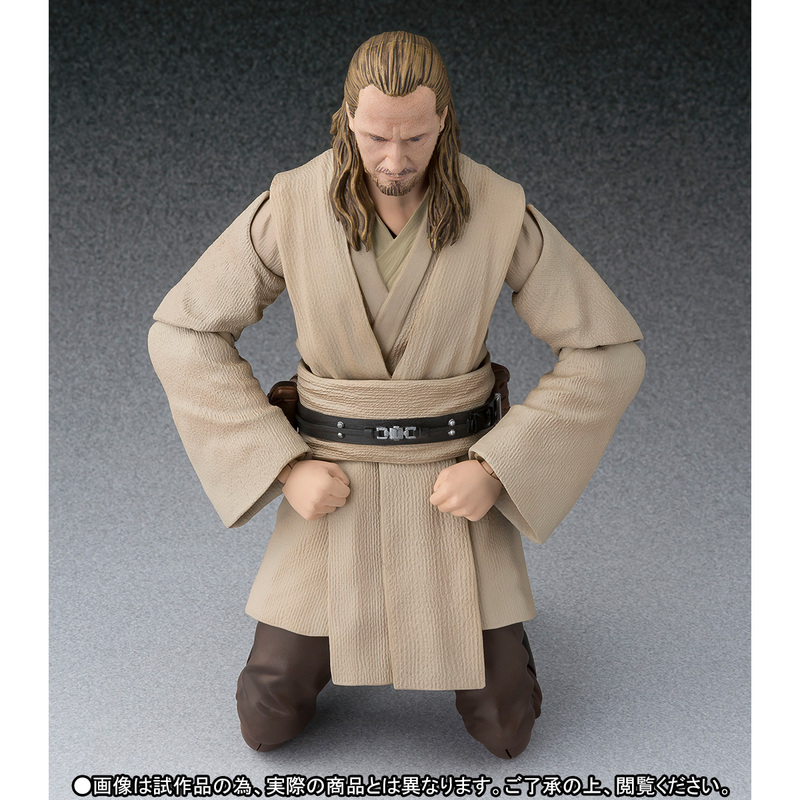 The fully articulated figure will stand at 6.3″ tall. Pre-orders are scheduled to go live on Friday, March 17th, with the figure scheduled for release in August. 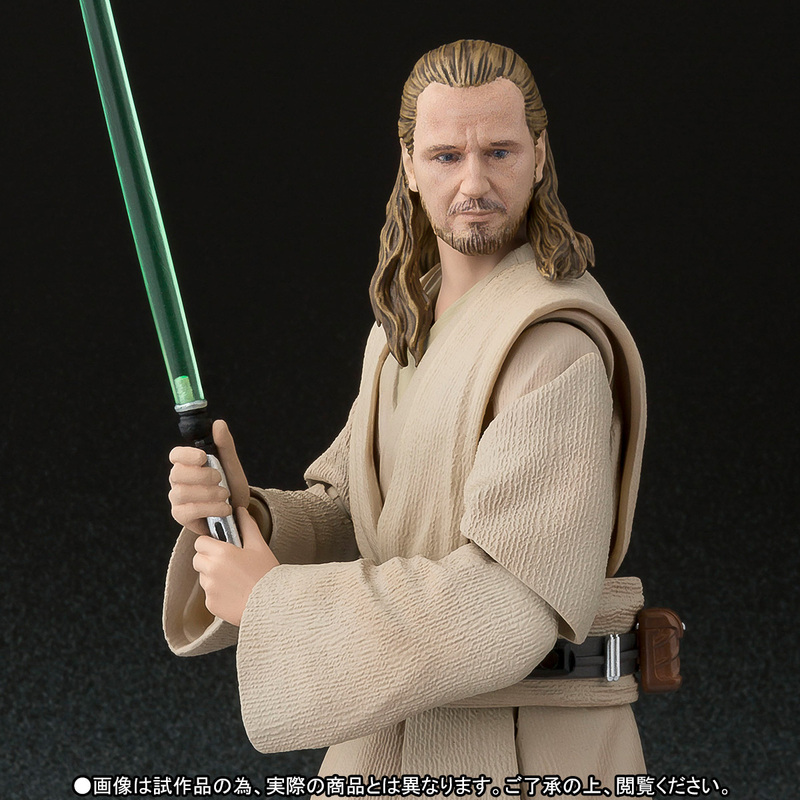 Qui-Gon Jinn is priced at 6,480 Yen (about $57 USD). You can see all of the new photos after the jump. Wonder if theres an alternate laser sword wound chest ? Of course it's a web exclusive! What isn't these days? 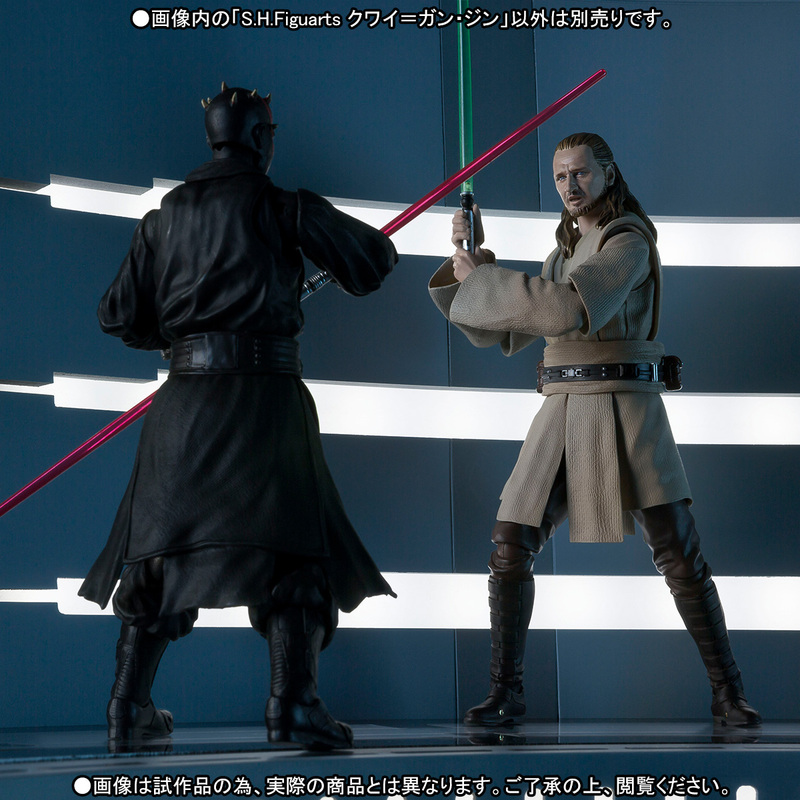 I'm really not impressed with figuarts lately. He's the main friggin' character in TPM and the best thing about the movie (besides Maul.) Shouldn't web exclusives be for obscure guys or someone with less of a fanbase? 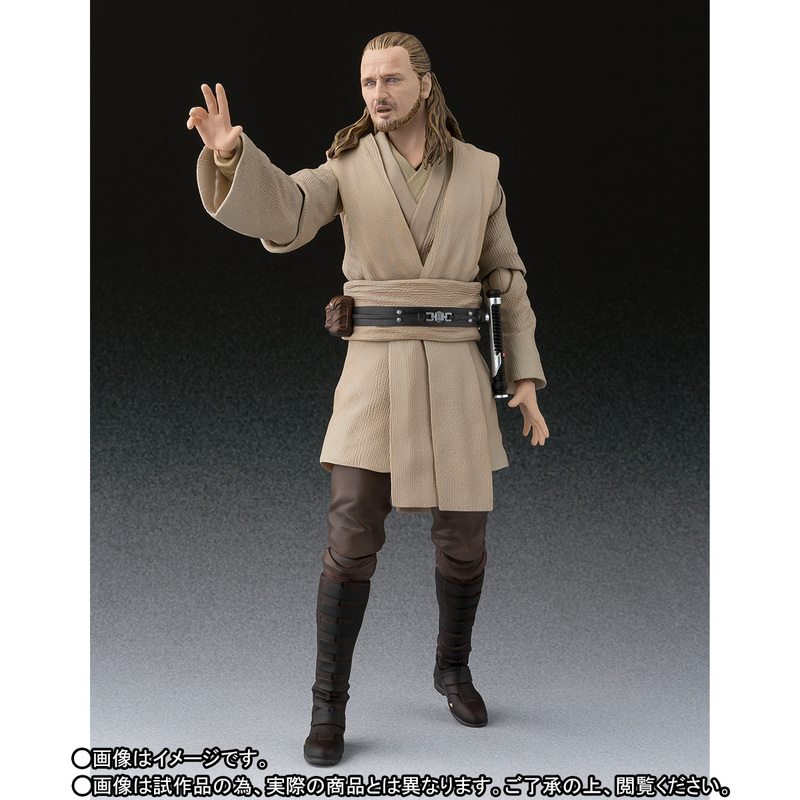 Does Star Wars not have big enough global brand recognition for SHF to make a prophet going for a regular release? No, they just know they can mug-off the fans who want to complete the Duel of Fates trio. 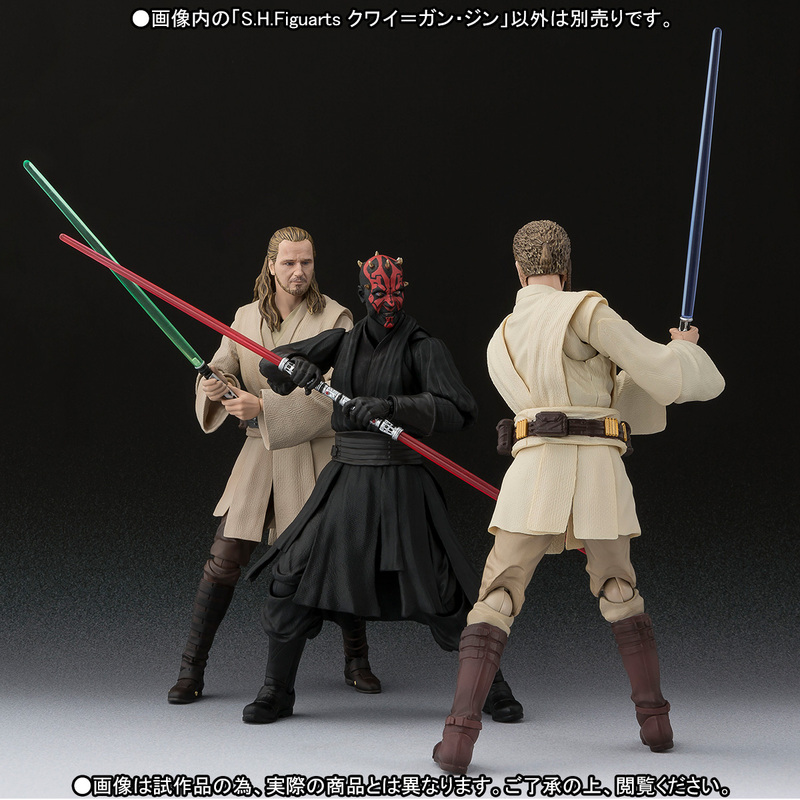 If you're into the MCU or SW be prepared to spend more than the figure is worth for the rest of time with figuarts. They've got the Guardians of the Galaxy 2 license so I bet we get a regular release of Star Lord and then the rest of the crew, if they even bother to do anyone else, will be online exclusives. 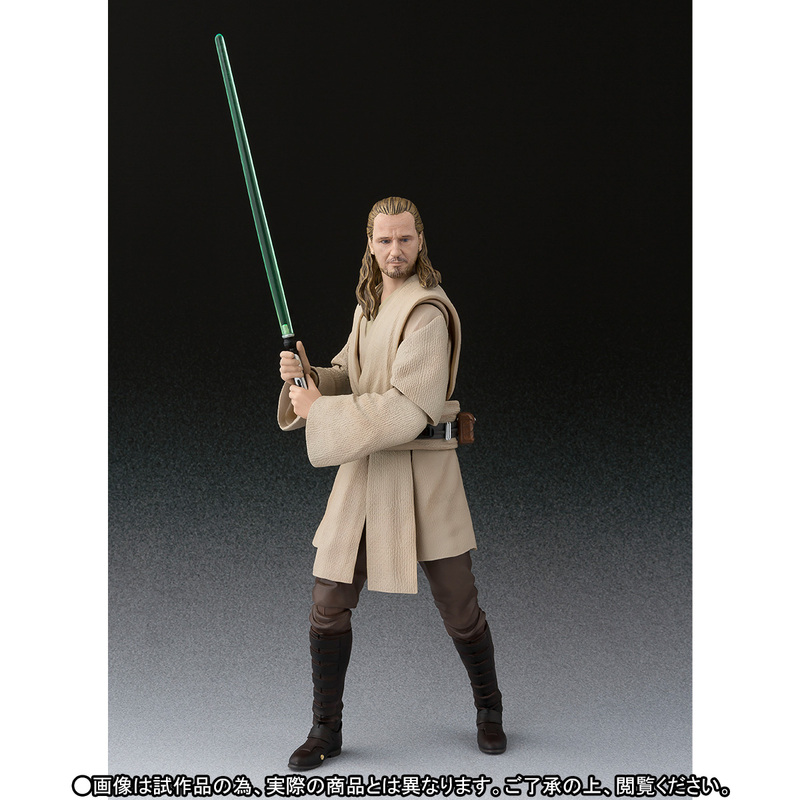 Really wish Mafex would churn out some more Star Wars characters that aren't stormtroopers or other armoured folk. Then I'd switch exclusively to them for all things Star Wars. They're upping their game QC-wise while figuarts is dropping the ball and just winding me up with endless online exclusives. Maybe they anticipated that the sales/demand wouldn't be too high, since the headsculpts are so mediocre. That open-mouth face is especially off. I think he looks great, can't wait to get him. is that obi-wan out already?? That's actually a great idea. 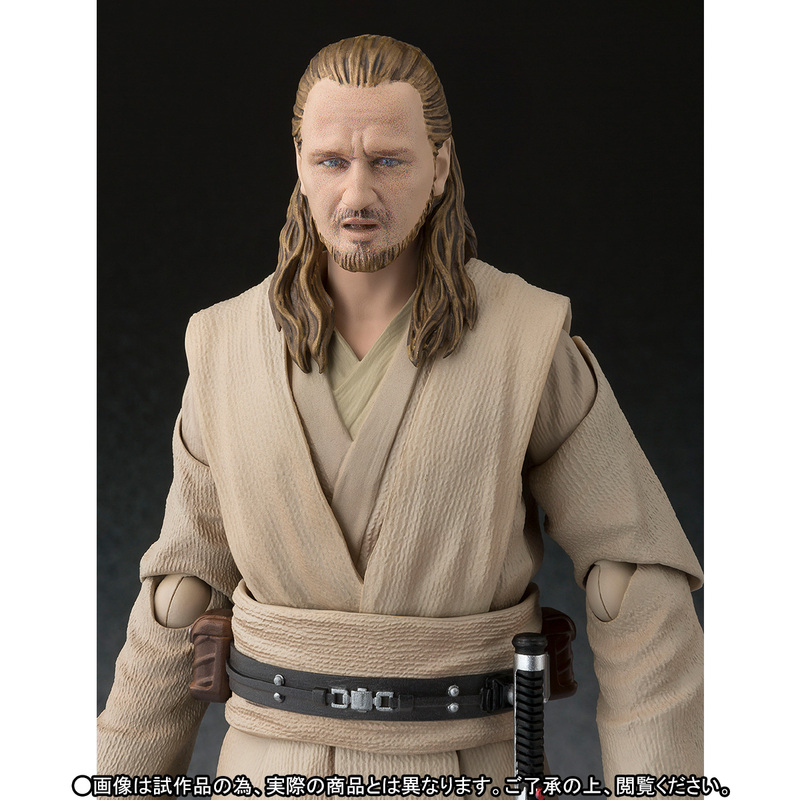 That terrible open mouth head sculpt might make more sense in the context of there being a gaping sabre wound tunnelled through Qui Gon's chest. And ye, Ep I Obi Wan was released ages ago. He's still available on import sites. Where did you find a preorder? I ordered from Nippon-Yasan. He is $67.12 on their site plus whatever shipping you go with- I go with 2-3wk delivery with tracking which is about $11. I've never ordered from them but he wasn't showing up on mykombini where I normally order stuff- it was actually a much easier ordering process than mykombini but did charge right away. MyKombini is usually at least a day behind the other import sites for whatever reason but they are my favourite to order from. It can feel a bit risky when exclusives or really desirable figures appear elsewhere but a tiny bit of patience is rewarded as their prices are better than NY for most things. The only time I've ever been let down is when they didn't get any stock of the SHF Suicide Squad Harley Quinn after I'd had it on preorder for months but I got a full refund, they explained that Bandai simply didn't give them any stock and it's never happened before so I just sucked it up and had to buy her from forbidden planet for quite a bit more cash. One hiccup in the 3-4 years I've been using them ain't bad and customer service has always replied to my inquiries. Btw- you should be safe with NY. They're my next favourite importer.